Nordic Folkboat built in Poland in 1963. 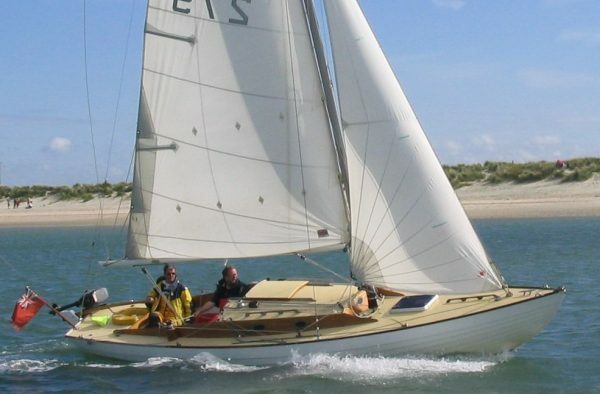 Extensively restored for the present owner in 1998/1999 with virtually all new frames and new keel bolts, new deck and coachroof, plus new rigging and recent sails. 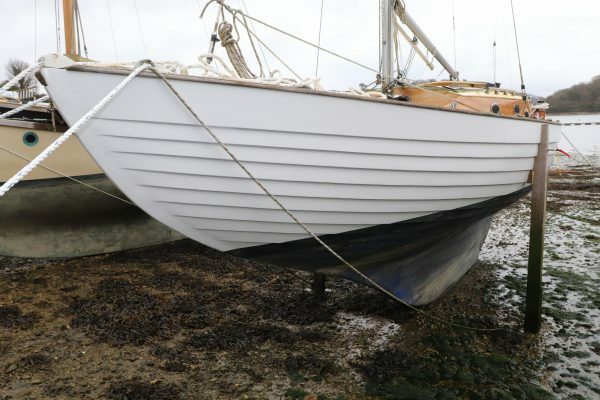 Since then she has been cruised every season around the West Country and as with most Folkboats she has proven to be a fast and fun little cruising boat, enabling the owners to get afloat without huge annual expenditure. 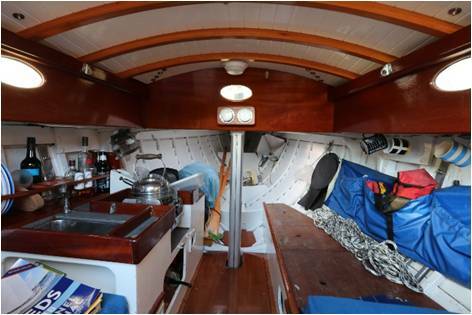 The boat is very well equipped including a new Yamaha outboard engine and a cockpit tent which extends the living space in wet weather to nearly double. 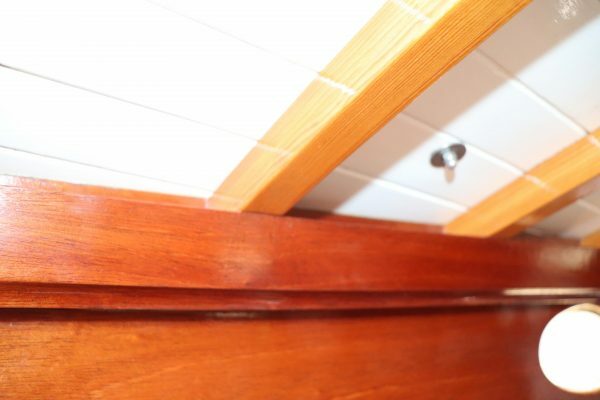 Clinker planked in mahogany all copper rivet fastened to laminated mahogany timbers, all new in the refit. 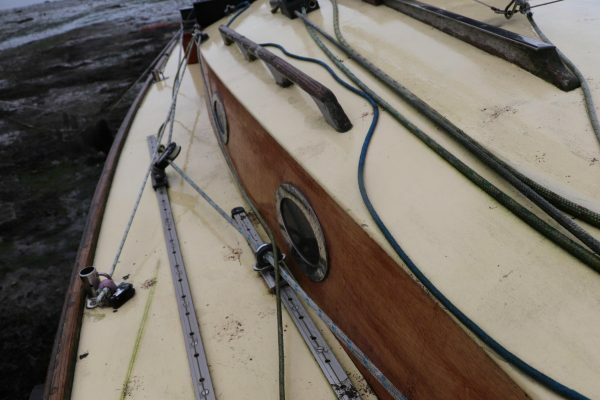 Sawn wooden floors across the centreline with the keel bolts through the middle of the floors. 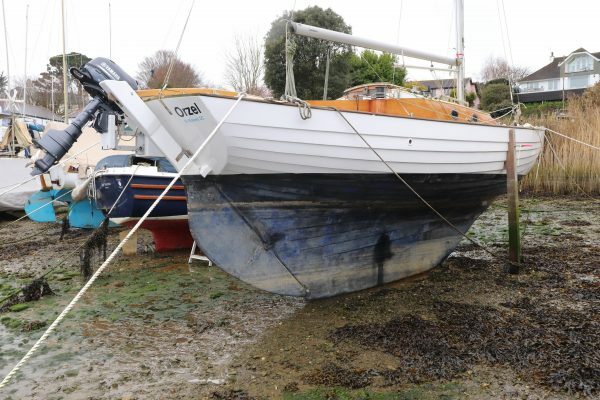 External iron ballast keel with galvanised mild steel keel bolts, new in 1998. 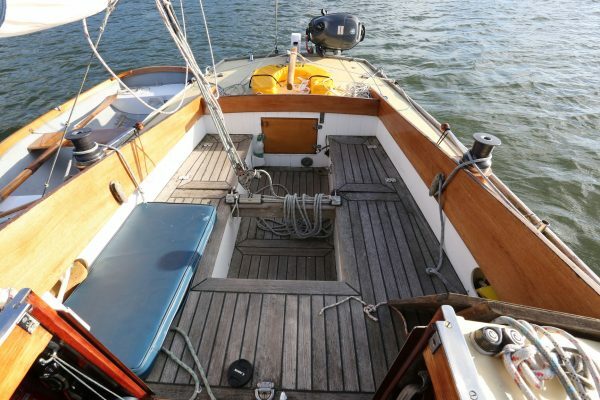 Marine plywood deck, epoxy sheathed externally and finished in non-slip cream deck paint. Self draining cockpit with teak laid thwarts and cockpit sole. 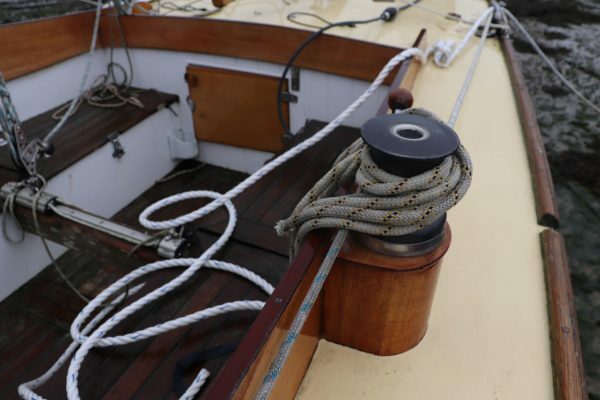 Bridge deck to the companionway. Fractional bermudan sloop rig on a keel stepped alloy mast. 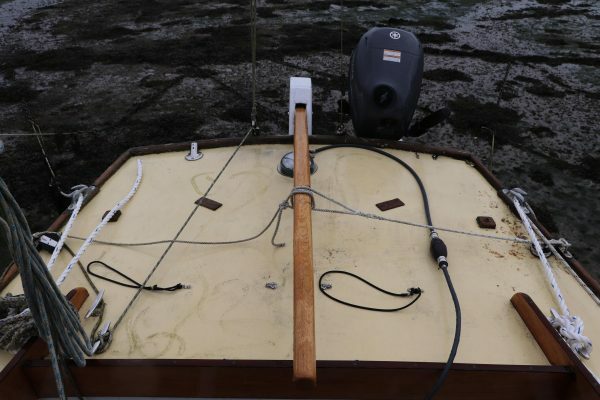 2007 alloy slab reefing boom. Alloy spinnaker pole. Mast new in 1999. Stainless steel standing rigging, new in 1999. 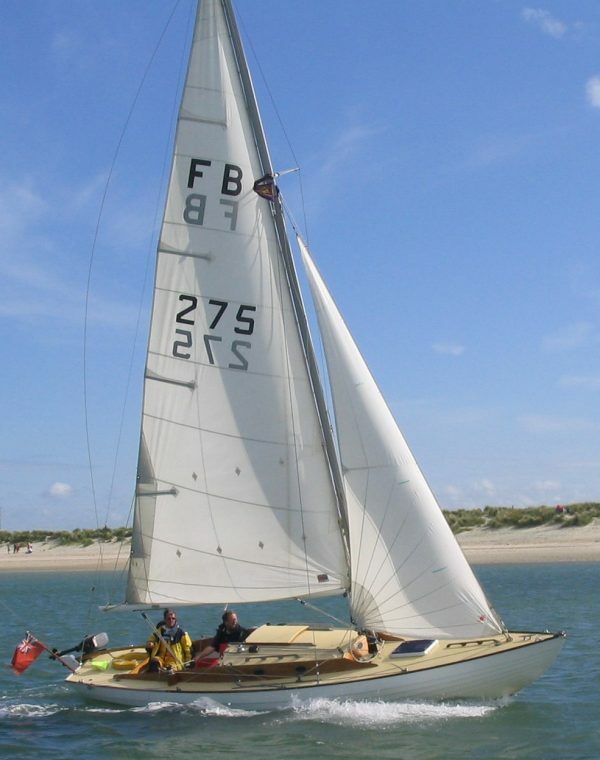 New mainsail and jib from Collins in 2009. 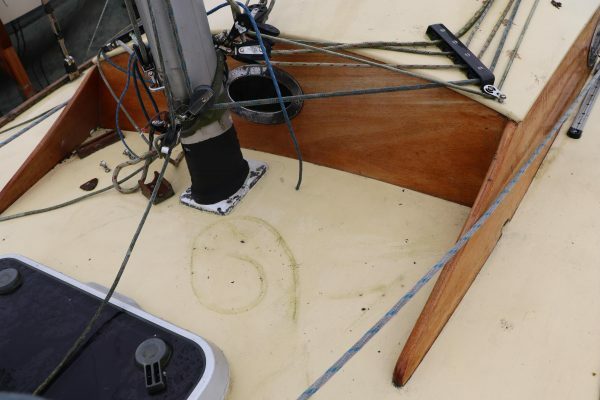 Spare mainsail and 2 spare headsails. 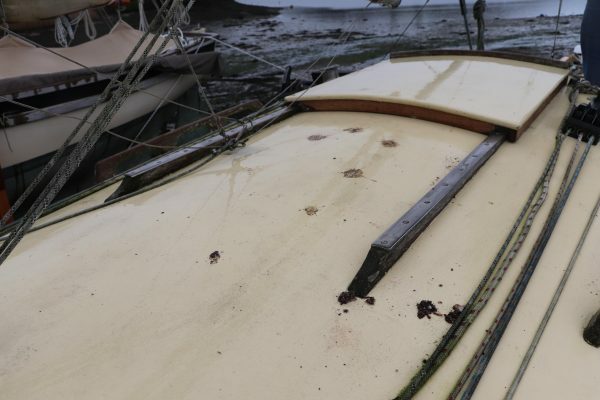 Spinnaker in reasonable condition. 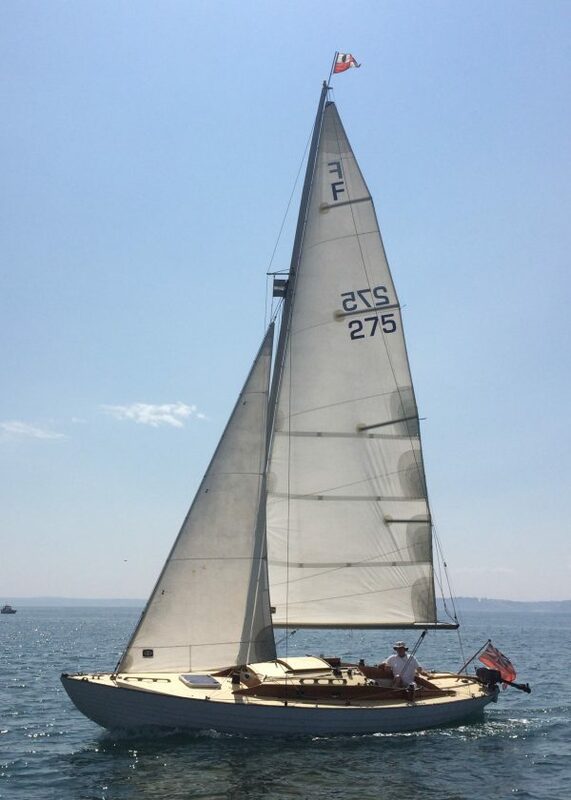 All running rigging led back to the cockpit with a triple Spinlock clutch either side and a pair of winches on the cabin top. Pair of non self tailing cockpit sheet winches. Yamaha 5hp 4 stroke outboard engine on a bracket on the transom. Engine new in 2018. Separate remote fuel tank. Single 12 volt battery, new 2018, with shore power and a charger. 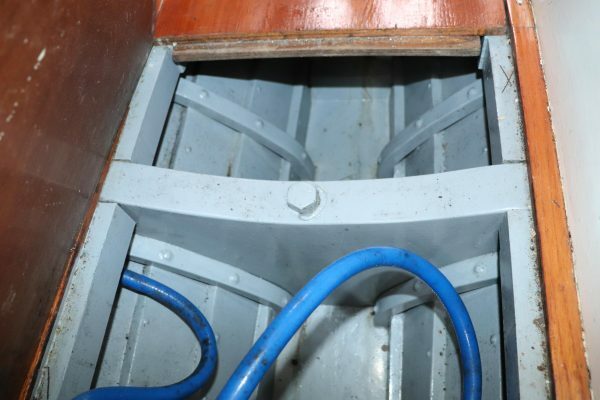 Step down into the cabin with a single quarter berth either side stretching back under the cockpit thwarts. 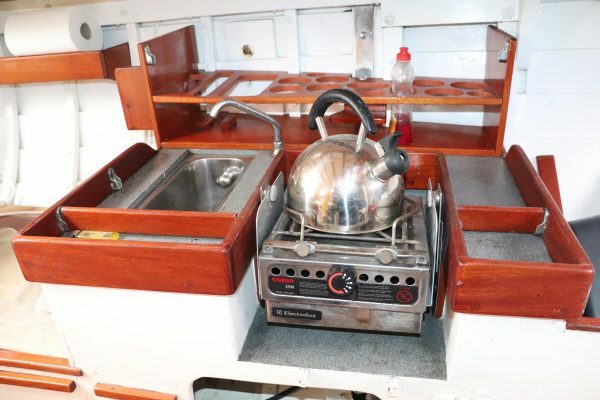 Port side midships is a galley area with a fixed stainless sink with manually pumped fresh water, and a single burner Origo spirit stove. Storage locker below the galley and a shelf behind. 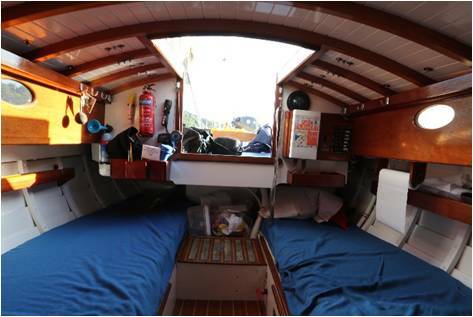 3rd single berth opposite the galley. 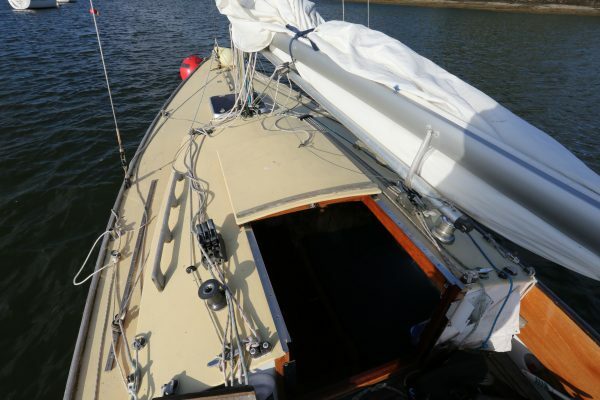 The forepeak is open and free for storage of sails and other gear. 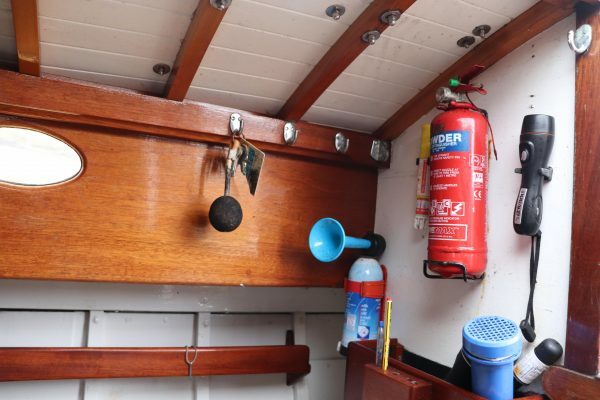 The interior joinery is of varnished mahogany with gloss white panels and bulkheads.